Visit the Michigan Spine and Pain Website CLICK HERE. 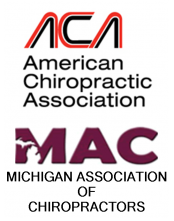 We are Michigan’s first and only clinic to become accredited as a Comprehensive Multidisciplinary Pain Clinic through the American Academy of Pain Management! We are proud to be a Spine Center of Excellence through Priority Health! Real comprehensive care for people in pain. We are dedicated to staying at the forefront of pain management. Our medical director, Marvin Bleiberg, MD, is board-certified by the American Board of Physical Medicine and Rehabilitation and Pain Medicine, which means he has successfully met and surpassed the highest standards of the profession. Dr. Bleiberg directs a team of multidisciplinary pain specialists. Each one is dedicated to helping you find relief, and making you feel welcome, regardless of your condition. In fact, one of the things that really sets us apart from other pain clinics is our friendly, welcoming family atmosphere. At Michigan Spine & Pain, you will always be treated with dignity and respect. When you visit our office, you’ll feel genuine caring and concern for your good health right away. We will make you feel right at home and treat you with the friendly, one-on-one care you deserve. Our staff believes strongly in patient education. We will thoroughly educate you on your condition and explain your treatment options in as much detail as you want. We will teach you how to keep your problem for coming back or how to prevent reinjury. And we will keep your primary-care doctor informed of your diagnosis and treatment plan with comprehensive, timely reports. Our doctors and staff will support you every step of the way on your road to pain relief and return to function. For the comprehensive, personalized care you need and deserve, ask about our convenient hours, including early morning and lunchtime appointments. We accept and file most insurance plans, saving you the hassle. Parking is always free and handicapped-accessible. And because we also respect your time, we will do our best to see you promptly on your scheduled visit.